PLEASE NOTE: if you already own some or all of the packs included here, you will still be charged the full price of this bundle regardless of any previous ownership. No tricks, just 3 seasonal treats all rolled into one! 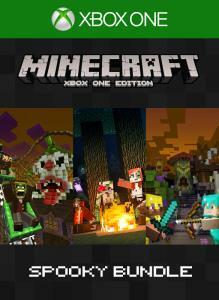 This bundle collects the Halloween Mash-up, Halloween Battle Map and Campfire Tales Skin Pack - a trio of grisly delights guaranteed to haunt your dreams! Build with your imagination! 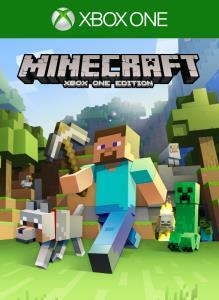 Minecraft, the best-selling game on Xbox 360, is now available on Xbox One. Create and explore your very own world where the only limit is what you can imagine – just be sure to build a shelter before night comes to keep yourself safe from monsters. 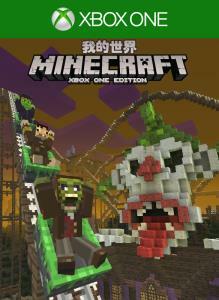 Play on your own, or with up to 4 player split screen, or 8 players online.